Alessi is a brand from Italy which has already featured in my list of Funky Brands™ on Pinterest and in one of my previous blog posts, Funky Brands from around the world: Italy. Today I am happy to publish my in-depth interview with Matteo Alessi, the company’s director of marketing, international sales and development in Europe, and also the first member of Alessi’s 4th generation to work for this family business. I spoke with Matteo about Alessi’s brand strategy, the role of design and open innovation in its business development, and am happy to share this conversation with you today. Olga Slavkina: Matteo, if you had to explain Alessi’s brand to someone who’s never heard about it, what would you say? Matteo Alessi:I would probably focus on our mission on the market. I would say that Alessi is a mediator between the world of applied art and design on the one hand, and consumers, on the other hand. Alessi makes sure that great design finds its expression in products that people like you and me can buy, and use in their homes. Olga Slavkina: In practical terms, how do you bring art and design to the market? 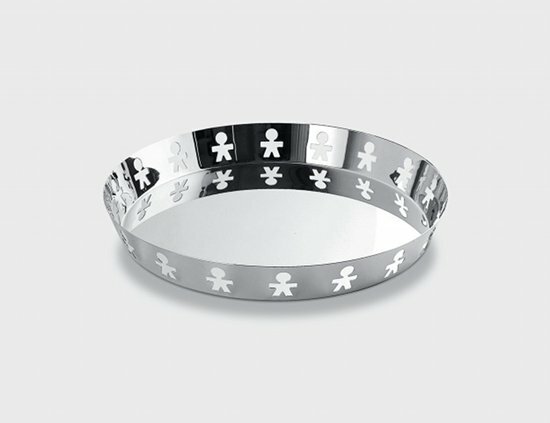 Does Alessi employ a lot of designers? Matteo Alessi:Not at all. In fact, we don’t have any designers working for us full time! Instead, we have a pool of about 200 independent designers that we work with. Whenever we have a request for a specific product, we tap into this pool, and work with someone who we think would be the best person to design it. Olga Slavkina: What are the advantages of working with freelance designers as opposed to hiring them? Matteo Alessi:the keyword here is creativity. We want to collaborate with creative people who are free in their own work. For us, it makes much more sense to work with freelance designers who work for different companies, not just one. We believe that this feeds their creativity, so their designs end up being very creative, too. Sometimes we call Alessi a Dream Factory -- because we help designers realize their dreams, and realize themselves. We never tell them, “Please design a table of this color and this shape”. Instead, we say, “Do what feels right to you.” The key to achieving good results in our work with designers is simply to be open to their creativity. Instead of doing extensive market research, asking our current and potential customers what kinds of products they would like Alessi to produce, we come straight to the designers and artists. We think that asking the market about what it wants, and then telling the designer what she needs to deliver, limits her creativity. Perhaps our approach is quite unconventional, but it is certainly a very important element of our brand strategy. We call it open innovation. Olga Slavkina: Do you work with designers individually, or do you also have any initiatives which allow them to work in teams, on larger projects maybe? 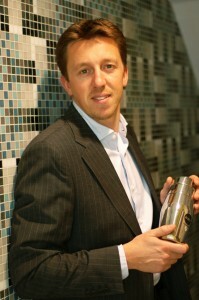 Matteo Alessi:As I mentioned, creativity is a very important word in the world of Alessi. It’s one of our key brand values. Of course, we work individually, but we also have large-scale initiatives dedicated to creativity. For instance, we often organize workshops on different aspects of creativity. They are attended by many artists, designers, sculptors and other kinds of creative people. Sometimes these workshops have very concrete goals, but sometimes we leave them a bit more open. They benefit those who participate in them, and of course, they also benefit Alessi. These workshops feed Alessi’s passion for creativity and design -- the values around which Alessi’s brand revolves. Olga Slavkina: Could you give an example some of Alessi’s recent creativity workshop? Matteo Alessi:Sure, I could mention a workshop that we ran with the municipality of Beijing in September 2011. The name of this project was (Un)Forbidden City. It involved work with 8 chinese architects who were our workshop participants. Alessi didn’t have any concrete objective in mind when we were organizing this workshop. Instead, we simply wanted to feel the pulse of the architecture in Beijing, we wanted to have a better understanding of it, so a creativity workshop was a good way of doing that. Olga Slavkina: I’ve noticed that on your web site, products can be searched and viewed by the name of the designer who created them. This is actually the first time I come across a company which acknowledges the role of the designer to such an extent. It must be very valuable for the artists and designers who collaborate with you -- and for their personal brands. Matteo Alessi:Indeed, all of the products that you can see on our sites are strongly associated with the names of those who created them. It’s simply Alessi’s way of showing our respect to the creative force which is at the core of our company. And of course, it also benefits designers and their careers. This is true both for emerging designers, and also for those who have already established themselves as well-known creatives. Olga Slavkina: Can you think of any cases when an unknown designer’s career and personal brand became famous as a result of a collaboration with Alessi? Matteo Alessi:When we began to work with Philippe Starck in 1986, he was already establishing himself as a strong designer, but I think Alessi played an important role in helping him become very well-known. In fact, I think this is probably true to every collaboration between Alessi and each of the designers in our pool. It’s great to be able to play such an important role in the careers of so many creative people. Alessi certainly improves their personal brands by helping them associate their work with our brand name. Alessi is known for its truthfulness to designers, and their style and honesty in the way we work with them, so all of our collaborations are win-win. Olga Slavkina: How can a company with such a long artisan tradition stay up-to-date and contemporary? 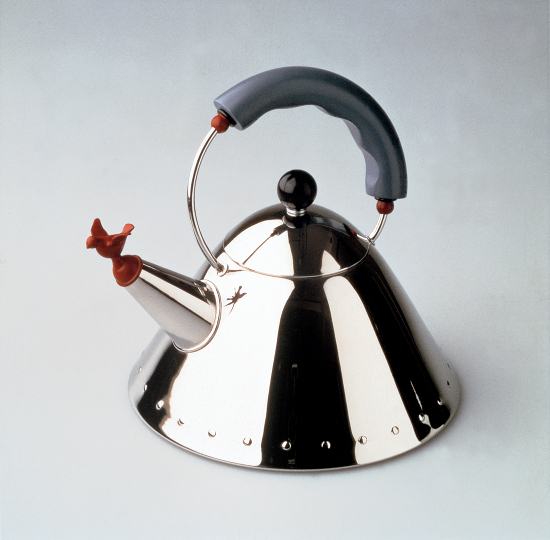 Matteo Alessi:Alessi was established 91 years ago, so indeed it has a long history of making high-quality products. At the beginning, it manufactured products for other companies, and actually, its own company name was different. It wasn't until the 80s that Alberto Alessi decided to make products under Alessi’s brand name. Our products have been and are hand made, with the help of machines. It is still all very artisan. In this sense, we stay true to our roots. This is because quality is very important for us, and we want to continue paying a lot of attention to details, durability, functionality and quality of the manufacturing process. On the other hand, the brand manages to stay contemporary through design. There isn’t any particular “traditional” style that we want to preserve, on the contrary, we are interested in bringing very avant-garde, unusual products on the market. Perhaps this is Alessi’s style! Olga Slavkina: Are Alessi’s most avant-garde products sold under the Officina Alessi line? Which other product lines can you mention? Matteo Alessi: Alessi has 3 different product lines, depending on the average price point, and some other factors. Officina Alessi is our line which offers exclusive products sold as part of limited editions. This line allows us to experiment with new materials, and gives us an opportunity to try very innovative, avant-garde, designs. As the other two lines -- A di Alessi and Alessi, Officina Alessi is available in each of our 25 flagship stores worldwide, as well as some other carefully selected points of sales. Olga Slavkina: How could you describe Alessi’s “typical” consumers? Could you call them design aficionados? Matteo Alessi:Yes and no. I think that besides being knowledgeable about design, these are the people who simply have an emotional reaction to our products. In other words, you don’t need to be a specialist in design in order to appreciate the presence of Alessi’s products in your home. But if you simply like our products, and can connect with them emotionally, and you feel that they are part of you, and your home, then you’ll probably be attracted to many of Alessi’s products. Olga Slavkina: Could you share with the readers of the Schmoozy Fox Blog your vision -- personal and professional -- for Alessi’s development in the near future? Matteo Alessi:On a personal level, I would very much like to establish distribution of Alessi’s products in Russia and Eastern Europe. On a broader, company level I’d like to continue with the open innovation approach, and explore such trends as eco-design, minimalistic design, and other contemporary styles and trends. Olga Slavkina: Thank you very much for this interview, and I wish you a lot of success in your very creative job.